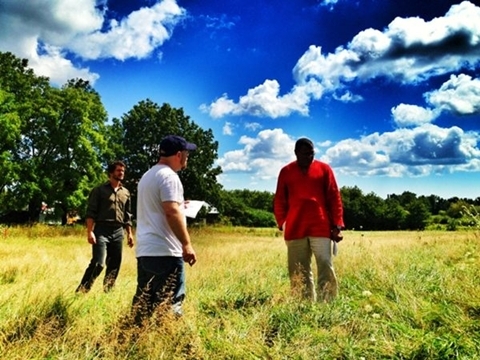 Production on NBC's Hannibal series, based on the books and characters created by Thomas Harris, began production yesterday, and showrunner Bryan Fuller has been giving us a few glimpses behind the scenes via tweeted camera-phone pictures. He's been tagging them with the memorable "#EatTheRude," a reference to one of Harris' lines describing how the evil Lecter chooses his victims. First up, we've got director David Slade talking to actors Hugh Dancy (playing FBI profiler Will Graham) and Laurence Fishburne (playing Graham's boss, Jack Crawford). Dancy will be the third actor to portray Graham, following in the footsteps of William Peterson (Manhunter) and Edward Norton (Red Dragon). As for Crawford, he's been played by Dennis Farina (Manhunter), Scott Glenn (The Silence of the Lambs), and Harvey Keitel (Red Dragon). 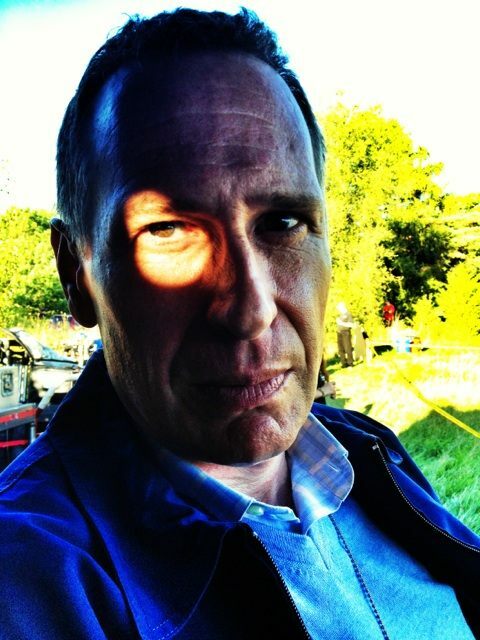 Then we've got a moody pic of actor Scott Thompson, who, as Fuller points out, played "Ambassador Tomin" in Star Trek: Voyager. He's in the role of "Jimmy Price." 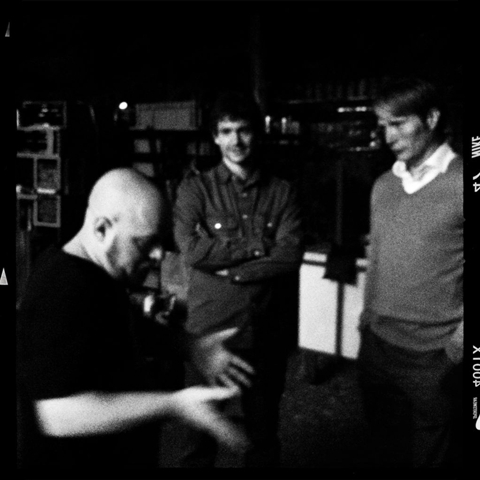 Finally, there's a nice black-and-white shot that includes the director, Dancy, and a look at Lecter himself, played by Mads Mikkelsen (From left: Slade, Dancy, Mikkelsen). Lecter has been played by Brian Cox in Manhunter; Anthony Hopkins in The Silence of the Lambs, Red Dragon and the Hannibal film; and Gaspard Ulliel in Hannibal Rising, although we'd all prefer to forget that last one exists. You can follow Fuller's Twitter for more to come, most likely. Hannibal will premiere on NBC sometime mid-season. So far the network has ordered 13 episodes.